Rethinking Democracy, Edited by Leo Panitch and Greg Albo. Socialist Register. 2018. Review. 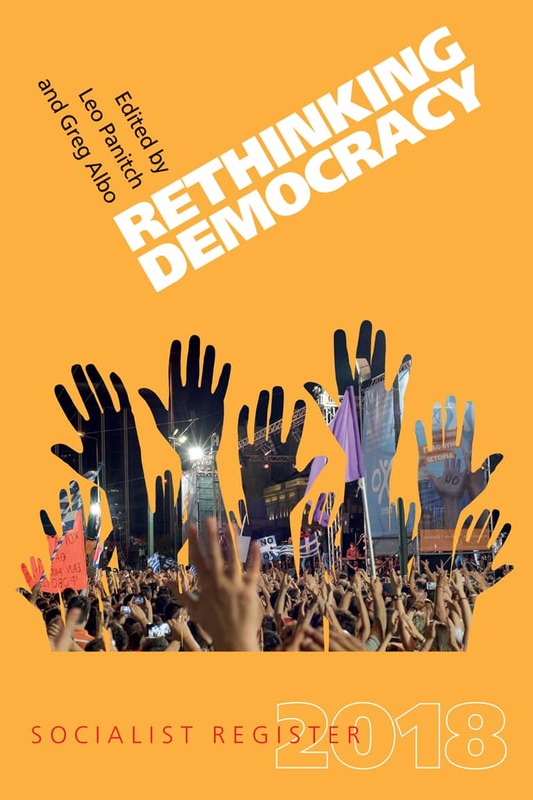 Rethinking Democracy, Edited by Leo Panitch and Greg Albo. Socialist Register. 2018. Merlin Press. (This appears in the latest issue of Chartist May/June 2018 no 292). For Leo Panitch and Greg Albo “the social revolution of building capacities for self government” is more important than gaining state power. “Actually existing liberal democracy” is entangled with anti-democratic institutions. The 2018 edition of the Socialist Register explores the potential of “socialist democracy” against reactionary “populist appeals in the name of defending ‘our’ democracy’”. In doing so some contributors see merit in forms of ‘left-populism’. Do neoliberal elites ‘fear’ democracy? A number of contributors work with Jacques Rancière’s ‘anti-institutional’ picture of radical democracy. The French theorist claimed that Western elites, are believers in technocratic competence, and have a veritable hatred of the demos. James Foley and Pete Ramand detect this in a fear of referendums. 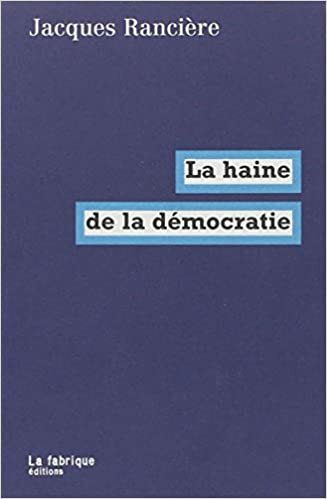 Rancière claimed that the No vote in the 2005 French Referendum on a European Constitution was a major set back to those who wished their “science” to be acclaimed by the masses (La Haine de la démocratie. 2005). 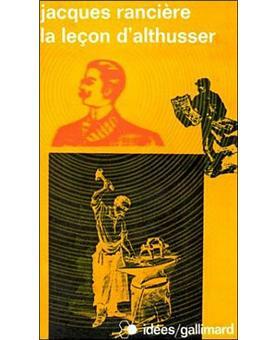 That popular consultation witnessed a division on the French left, inside both radical and reformist camps. It was between those supporting national sovereignty and those who favoured European unity, however imperfect. (1) The rejection of the European Constitution only happened with the help of the votes of the far-right Front National, and conservative ‘Sovereigntists’. The result, many say, strengthened not democracy but appeals to France, the Nation, not just by the right but also by left-wing French politicians. After eventual French endorsement, the EU went ahead with its plans anyway. Denis Pilon’s ‘Struggle over Actually Existing Democracy’ offers critique of ‘proceduralist’ democracy. Alex Demiorović considers Radical democracy, from Miguel Abensour (1939 – 2017) who was indebted to council communism, Rancière, to the familiar figures of Ernesto Laclau and Chantal Mouffe. Adepts of abstract theory will find much to mull over. Do these theorists offer “innovative democratic strategies”? Should we consider one of the few concrete ideas offered by Rancière, who looked to Periclean Athens and found public office open to selection by lot? The French La France insoumise (LFI) led by Jean-Luc Mélenchon, uses this procedure widely, including for selecting a majority of delegates to its Conferences. It means that there are no formal currents, organised differences of opinion, inside his movement. This is even less attractive than the “consensual” decision-making imposed in the Occupy! movement. The ‘fear’ of populists of the left and the right fails to look into why socialists may oppose populism. It is not disdain of the great unwashed, but differences over the claim that there is left-wing potential in the present ways the “people” can be mobilised against the ‘elite’. Donald Trump once declared, “The only important thing is the unification of the people – because the other people don’t mean anything.” Can the People become Sovereign on conditions that they are hurled against the ‘not-People’? Foley and Ramand take on board Perry Anderson’s critique of the ‘vagueness’ of the term elite, and the idea that this is the Enemy. Three contributions on the media also register another side of his doubts, the way it neglects the way hegemonic ideas gain acceptance. They offer useful insights into the role of the media in constructing ruling class hegemony. The revelations about Cambridge Analytica indicate that grand ideas, from Laclau and Mouffe, about the Enemy, and the need for democratic dissensus, may be less attractive in the face of manipulated hatred. The benefits for the equally elusive People in this form of politics are less than evident. This fear of Others perhaps sums up right-wing populism, and mass conservative ideas, too neatly. If liberals, or the very different European left, turn to Othering the rightwing Populists – and why not? – it is because their policies place them as Corporate ventriloquists. Martijn Konings brings us back to the importance of economic rationality. He indicates how a “commitment to the speculative logic of risk” continues to be attractive to some voters. It can, paradoxically, be worked into appeal to the People. While many during the Brexit Referendum claimed to defend our Home against the outside, the neo-liberal wing of the Brexit campaign offered to make Britain a free entrepreneur on the world stage. Trump embodies both at the same time: he is a free-marketer and determined opponent of open markets. Rethinking Democracy is thought provoking rather than answer-offering. The accelerating crisis of most of European social democracy is now provoking reflection and soul-searching. Recent elections have left Italian socialists of all stripes voiceless, the Dutch Labour Party has been overtaken by the Greens, and, after the long-signalled melt down of the Parliamentary left, the anti-populist President Macron and his La République en marche (LRM) holding all the reins of power. There is much to think about. See (1) Pages 135 – 4. 68 et Après. Les heritages égarés. Benjamin Stora, Stock,. 2018.